hashtag#Belarus – the Country of Lakes and Rivers, throughout the last few years, has developed an increasingly supportive policy of promoting foreign direct investment, in co-operation with not only China but other ASEAN countries as well as the E.U. The open-policy stance the country of Belarus shows towards foreign direct investment is clearly evidenced in the establishment of numerous internationally and inter-governmental funded projects such as the China-Belarus Industrial Park and the High Technologies Park (HTC). A country of culture which perfectly blends both Eastern and Western ideologies, a duty-free market for countries party to the Eurasian Custom Unions and the benefits of a favorable geographical position in terms of trading on the ambitious Belt and Road Initiative (B.R.I. 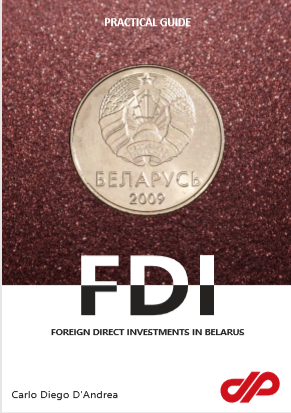 ), it is for these reasons and many more which D’Andrea & Partners Legal Counsel has published FDI: Belarus, a guide for companies wishing to invest and be successful in this newly emerging market.